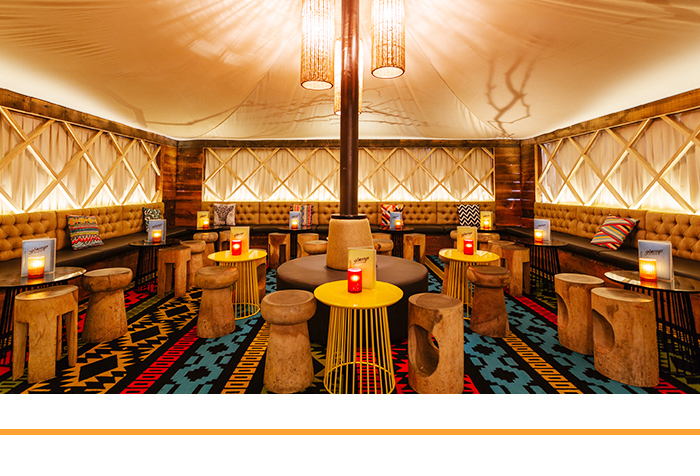 ICYMI: Melbourne has out-Melbourned itself with an indoor glamping cocktail bar. A two-level venue, Polēpolē Bar and Kitchen and Glamp Cocktail Bar serve up finger-licking modern African food, creative cocktails and the best service in the city. We’ve teamed up with What’s On Melbourne to give away the most drool-worthy voucher to Polēpolē and Glamp Bar. What’s On Melbourne are all about finding the latest, unique experiences around the city, so you can find your own lil’ Melbourne moment this winter. This delectable prize includes one (1) $500 voucher, valid at both Polēpolē and Glamp Bar. That’s enough to indulge you and your fave five foodie friends. Did someone say cocktail hour?! To enter, simply hit the link below and fill out a short survey (it'll only take a second, pinky promise).